You say I am a king. For this I was born and for this I came into the world, to testify to the truth. Everyone who belongs to the truth listens to my voice. St. James R.C. Church was established on June 8, 1910. Msgr. 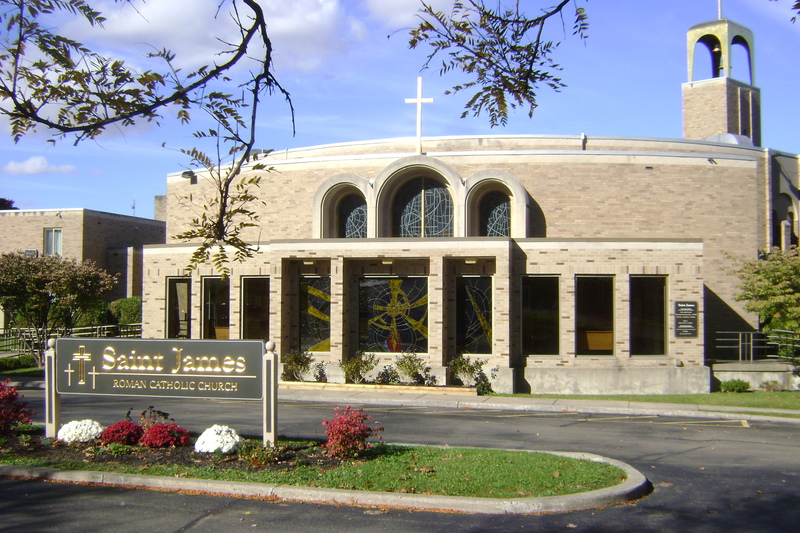 James Carra, founder, served as the first pastor to the largely Italian immigrant parish. Masses were held in a purchased wood frame house on Victoria Ave. and the sisters of Mercy arrived to teach school there in 1912. The house was replaced by a large new stone church in 1915. In 1918, St. James School was moved to the basement of the church until 1953 when the brick building on nearby Prospect Ave. was built. The present church at 27 Allen St. was built in 1968. Copyright © 2019 St James Parish. Designed by Southern Tier ITS of Jamestown, NY.